Vox Novus, including I.B.N.’s own composer-in-residence, David Morneau, brings you Circuit Bridges, an electroacoustic series providing audiences with half a concert of performance of local composers and musicians and the other half with eletroacoustic works from visiting elctroacoustic composers and sound artists. 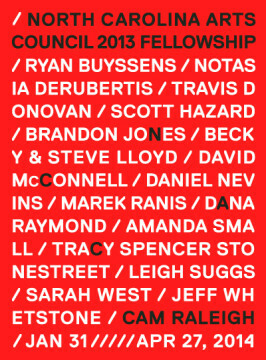 Circuit Bridges has its hub based in monthtly concert performances in New York City at Gallery MC. Next up is the presentation on April 24, and will feature music from Mysterious House among other interesting and exciting composers. Immigrant Breast Nest mainstay David B. Applegate will perform on 2/20/14 as part of the North Carolina Arts Council Fellowship exhibition at CAM Raleigh. He will present a piece responding to the work of David McConnell, a sound artist, sculptor, and painter. Brian Howe, Chris Vitiello, and Lightsey Darst are also on the bill and promise to wreak their own special havoc in the art museum. Audio and / or video will be forthcoming. 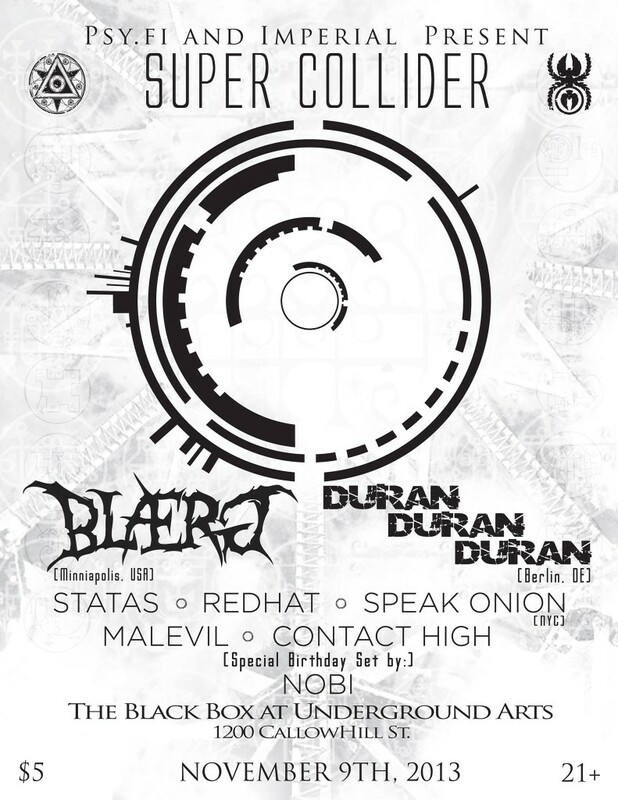 Speak Onion with Blaerg, Duran Duran Duran, more in Philadelphia, November 9! Speak Onion and Bruzed live w/ Monster X, Duran Duran Duran, Blaerg, more on November 8! 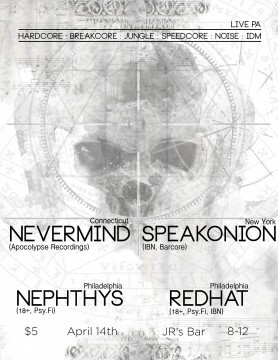 Speak Onion live in Philadelphia w/ redHat, Nevermind, more- April 14! 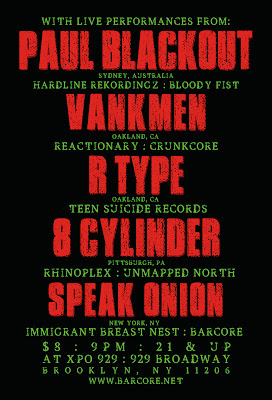 Speak Onion live in Pittsburgh w/ redHat, Xanopticon, more; April 13! 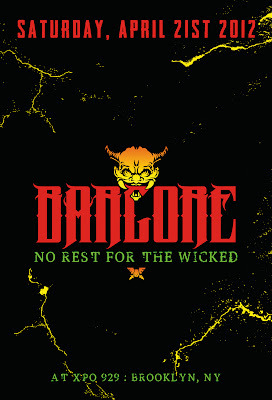 Speak Onion live at Barcore w/ redHat, Xanopticon, Balazs Pandi, April 12! 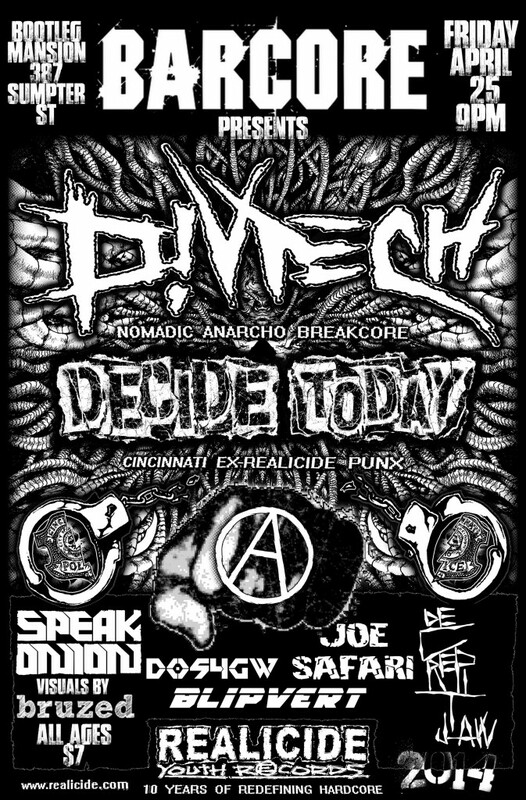 Upcoming Speak Onion shows in Boston and NYC! 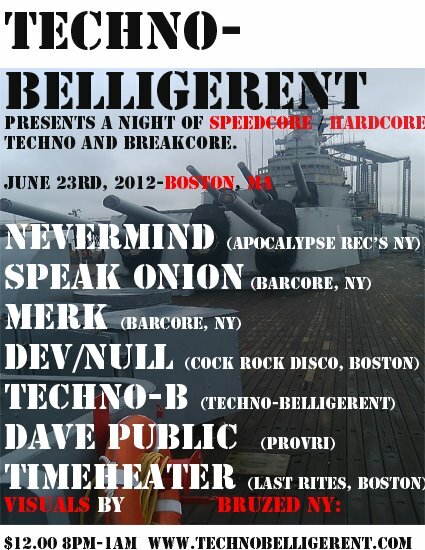 Speak Onion is bringing live drum’n’noise up to Boston on June 23, at Techno Belligerent’s mega rager ON A NAVAL DESTROYER. With an incredible lineup of sonic monsters from the northeast, and visuals from the mighty Bruzed, the word “destroyer” will take on a whole new meaning. Here’s the event page! 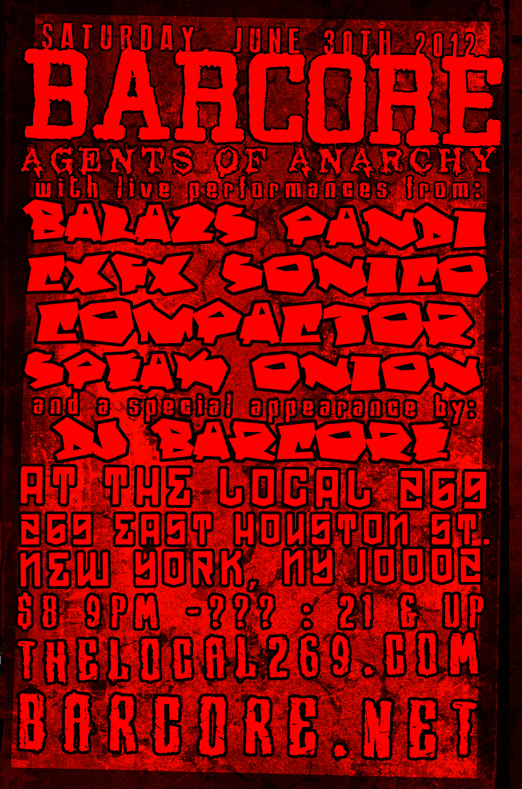 And back in NYC, Speak Onion is helping kick off another incredible lineup brought to you by BARCORE at Local269 on Houston Street. 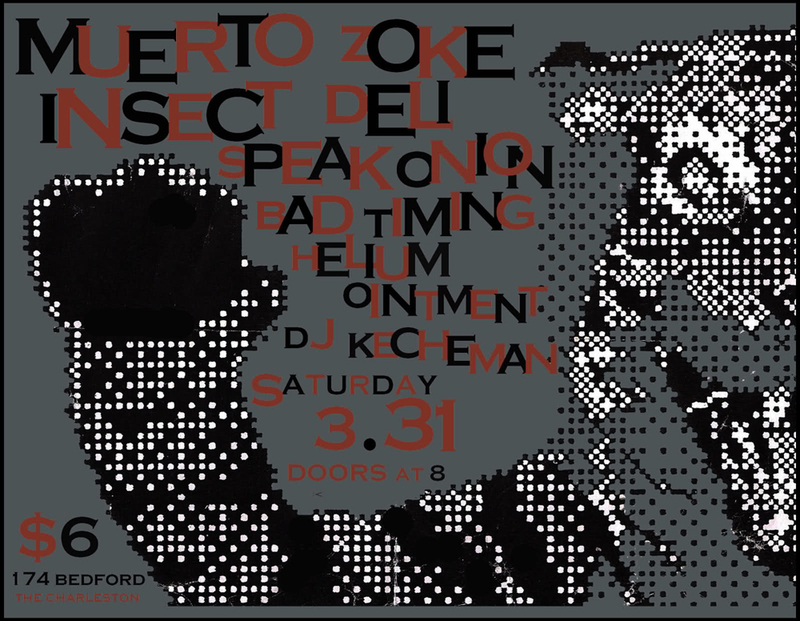 Also accompanied by Bruzed on visuals, this is another event that is not to be missed. Event page! 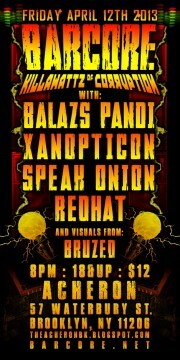 Speak Onion wrecking it at The Charleston this Saturday with Bruzed on visuals! Also coming up is the next Barcore event with Paul Blackout, Vankmen, R-Type, 8Cylinder, and Speak Onion with Bruzed on visuals again! And also, check out this fun and informative interview of Speak Onion by Bizness!